Ugh…I feel like I failed miserably at this readathon. Originally I planned on having a pretty open weekend, but things don’t always work out the way you think they will, and I’m not going to complain because I actually had a pretty fun weekend despite not being able to commit half the time to reading. 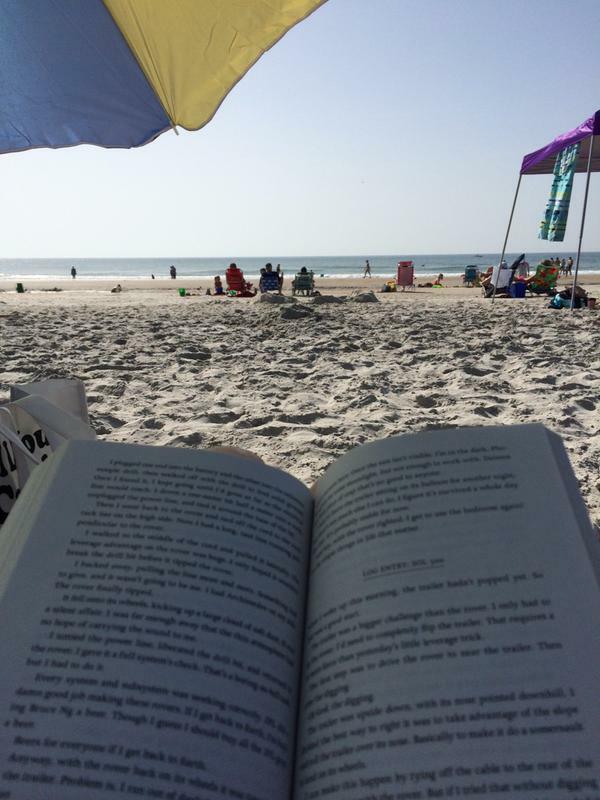 On Saturday I started off the morning reading on the beach while my husband did some Cross Fit. It was a super hot, super sunny day, though, and pregnant me didn’t enjoy being out there so long! I did get to finish The Martian that afternoon! Such a good book :) That night we threw an impromptu birthday party for a friend, so reading was put on hold. Sunday is one of our busiest days of the week, and I took a much needed nap that afternoon. But I did get some more reading in! At least I finished two books! Only six hours of reading!! Shame, shame! (sarcasm) That is still a lot! And I really think that society shuns people who cast off their social obligations to sit home and read, so I can understand why you weren’t able to just sit and read for 24 hours. I often think that I would read a lot more, but I feel guilty sometimes when I read (when I should be playing with Jake, hanging out with Justin at night, doing chores or something else productive, etc). You did great! Six hours is tons of time (and about as much as I did the one time I did Dewey’s). And its worlds better than us slackers who didn’t ‘thon at all. 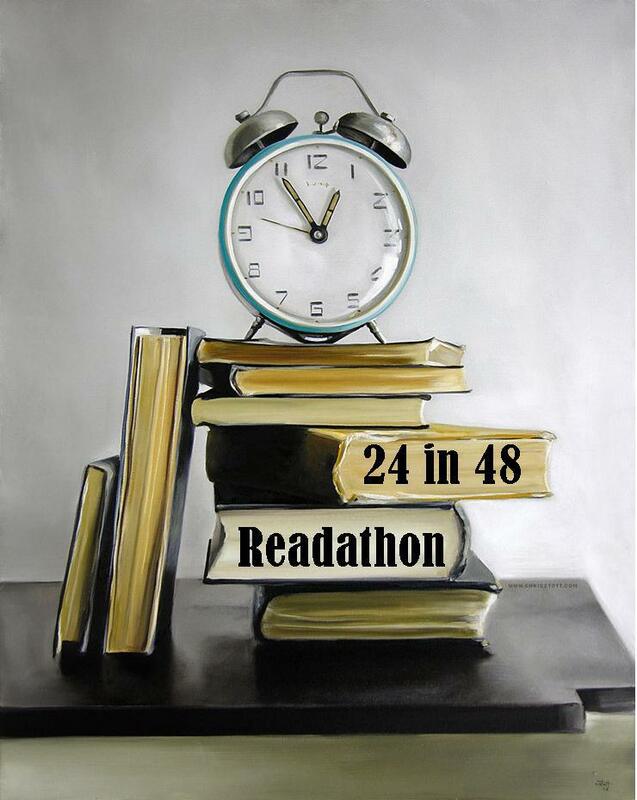 I never seem to be able to partake – readathons always hit on my busiest weekends – so I was on the sidelines again. I’m impressed with everyone who partaken, whether they hit 24 or not! I bet that back in my single days I could have made it close to 24 hours, but not now! I was aiming for closer to 9 or 12, but 6 is still good :) But it also seems that whenever I decide to participate in a readathon, something unexpected pops up and takes over most of my time! The Martian is so good! I’ve still been thinking about it since I finished it :) I can’t wait to see the film!